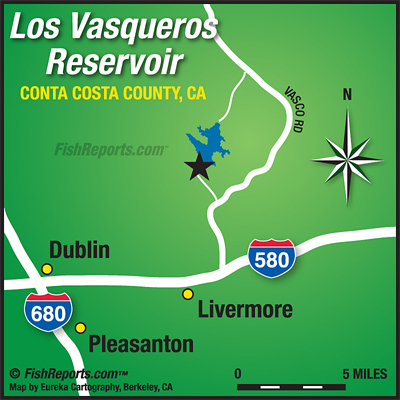 The trout fishing action has been very good during this time period at Los Vaqueros Reservoir. Most of the action has been off the shoreline using Powerbait and nightcrawlers over in the south cove and past the Rockwall. Some of the trout have been weighing more than 4 pounds. The reservoir is presently storing 149,000 acre feet of water. The water temperature is 57 degrees with fair water clarity.